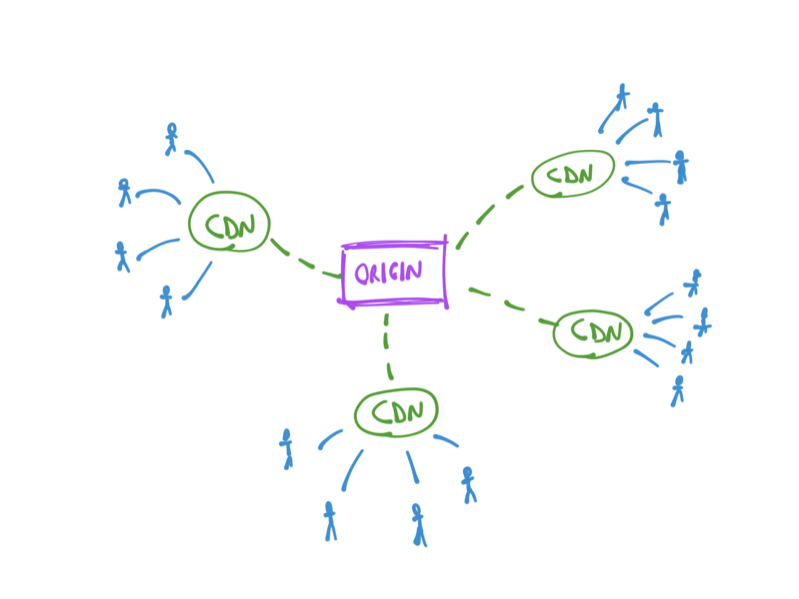 A CDN stands for Content Delivery Network. It’s a series of servers distributed all around the globe, all linked together. CDNs are the ultimate cache, and the cheapest way to serve content all around the world. Visitors will never access the actual web server that hosts your files, but instead they will hit those CDN servers, helping to reduce the load. Each CDN server is located in different continents, and depending on how the CDN is built, in different parts of a continent as well. Every major company uses CDNs for serving assets, and you can too, by leveraging the services of companies like Cloudflare, Amazon CloudFront, Google Cloud CDN, Azure CDN or others. CDNs might be integrated directly by your web hosting as well. I use Netlify for example, and they integrate an automatic CDN, which makes my site fast in every location of the world.